I debated over the ribbing at the top. It doesn’t seem very basket like. In the end oh-dark-30 dead brain common sense prevailed, and ribbing it was. 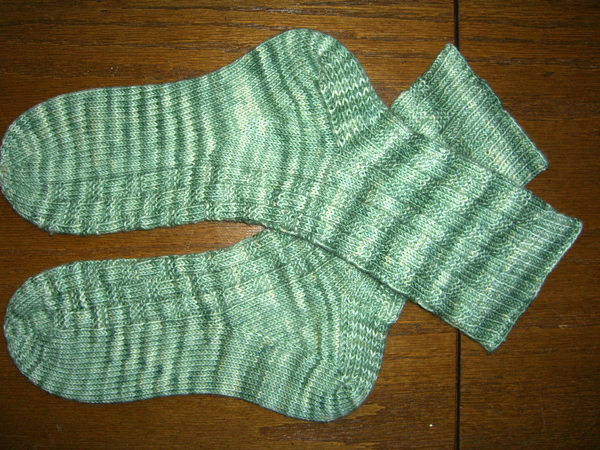 I tried some new things out with these socks. The octagonal pinwheel toe was new. I also tried out a method for having ankles wider than feet without increasing post-heel-flap. 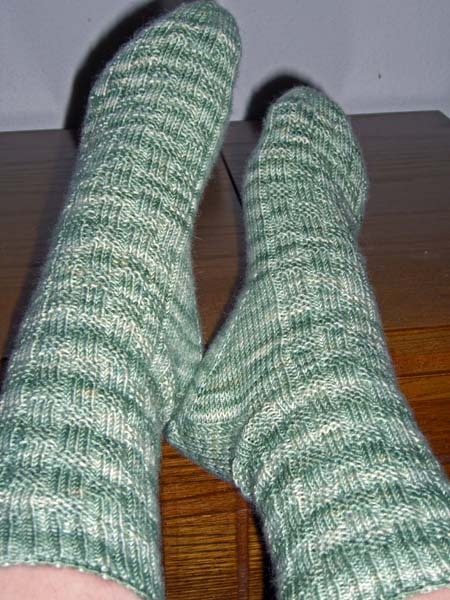 Someone who might sign up for the sock class said, You’re going to to teach how to have ankles that are larger, right? Since I nodded and agreed that of course I was going to do so, I thought I’d better come up with a way to actually do it so I’d have a method to teach. 😆 I think it worked out pretty well, and it fits within the whole “non-pattern” pattern theme.